A Low Pressure is likely to form in the South Arabian Sea . On 14th May, it will form approximately in the 4N and 73E region, around the Maldives. The system is poised to deepen , and seeing the position of the 200 mb Sub Tropical Ridge, seems, as of now, system will deepen and move North wards off the Kerala coast. Queries will come up: if it is going to disturb the Monsoon ? Well, i think, looking at the dates, the whole system could rain off and be over by the 22nd/23rd...so, Monsoon over Kerala will/can arrive as mentioned in MW-3 (2). Will keep posting the developments here.. Whether the system will cross kerala coast or it will continue to move northward along the west coast? ? Shitij: Difficult to say path now at this stage...but currently seems system will deepen move off the coast. Not crossing Kerala. Cloudy weather in santacruz Mumbai..
What is your view sir..can Mumbai get rain today. The tropical Pacific Ocean has weakened to borderline El Niño-neutral levels. Sea surface temperatures across the tropical Pacific Ocean cooled further in the past fortnight, driven by cooler than average waters below the surface. Atmospheric indicators are also trending towards normal. Trade winds have been consistently near normal for some weeks. Typical El Niño cloud patterns are dissipating and the Southern Oscillation Index (SOI), while still negative, is steadily rising. Based on recent changes in the tropical Pacific Ocean and atmosphere, combined with current climate model outlooks, the Bureau's ENSO Outlook remains at La Niña WATCH. This means the likelihood of La Niña forming later in 2016 is around 50%. Very warm sea surface temperatures continue across large parts of the Indian Ocean. Likewise, ocean temperatures around Australia remain well above average. Warmth in these two regions may provide extra moisture for rain systems as they cross Australia during the coming months. So, Heavy rain is for sure in Kerala. Rajesh sir,is the cyclone expected to track northwards?Will it affect maharashtra coast?Are pre monsoonal rains likely in mumbai and north konkan( including pen,roha)from 20th may? Mjo is turning positive.waiting for your views. abizer: I have not mentioned or stated anything about any cyclone. The words i wrote is that a Low will form and deepen. Next stage after "Low" is 'Well Marked Low" and then "Depression". Expecting pre Monsoon showers on 20th May for Konkan is a very optimistic hope.But like i wrote, let us follow the developments. I have given the pre monsoon rains ( MW-3) in Mumbai from 5th June...or early June at the most. A trough of Low has formed in the Maldives area on 10th May. Neeraj: The M-2 Western Disturbance which i was expecting on 12th May, in answer to your query of 5th May, is here and precipitating. Expected over your region by 12th May. Expecting heavy showers in West Nepal and uttarakhand. Sir, that low off maldives is never going to happen. Already the action is shifted further east. Further the track to Kerala looks awkward too. The WD is here, heavy-ish rain yesterday (tuesday), cool weather today, more rains expected. And it seems the bay is going to host the first low of the season (?) . Today scattered TS activity reported around Western ghats around Pune/Nashik dist & on foothills of Thane & Raigad dist..
Badlapur gets Thunderstorm & Dust storm with drizzling traceable rains at 5.30pm today & also same was on 9th May midnight..Whereas Karjat & Matheran gets measurable rain today & on 9th also..
A counter low is expected to form in south west Bay of bengal, there is still no consensus over its track, varying widely between orrisa and Myanmar. What's your take sir? There will be only one low in SW BOB...lets not talk about Arabian Sea system for a while..
Is there a depression forming in BOB. IMD charts are showing it. keaweather is abuzz with it. 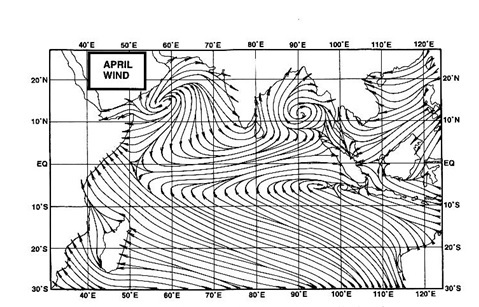 Rajesh sir,what about arabian sea low?